In this post we answer the question how do you tell the difference between Manuka and Kanuka? Here are four ways to get you started. 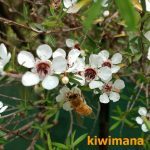 Who owns the Name Manuka Honey?, Monsanto targets bee-killing varroa and Do 1 In 10 Australian Pollination Hives Have AFB? This and more is discussed this month. This week we are talking about more thieving mongrels, Getting Ripped-Off in the UK, alienation of New Zealanders?, “is my backyard big enough” and what’s goin’ on across the ditch? 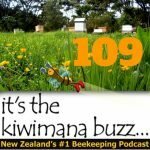 This is Episode One Hundred and One of our beekeeping podcast. 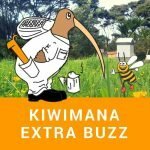 Beekeeping Banter Round Up – This week we talk about Victory for Mānuka, Beekeepers on the Breadline and Bloody Australia Day ratbags burning Bees. This week we are talking about New Rules, Counterfeit, when Being copied is not necessarily the Best form of Flattery, the Sum of Sugar and Honey, and North land Numbers Stack up for Whanau. 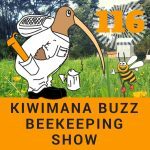 This is Episode One Hundred and Nine of our beekeeping podcast. 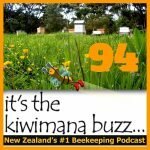 This week we are talking about Go the Indians, killer backyard beekeepers, drunken fencing incident stings couple (and who said kiwis have an accent!) and the riddle of Manuka honey. 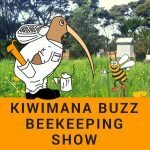 This is Episode Ninety Six of our beekeeping podcast. This week we are talking about Jars of Honey selling for $1800 and why Mad Honey isn’t a great Christmas Present. Ho Ho Ho, The Joy of Christmas is on its way. We are drinking Mead and talking about The Auckland Beekeepers Club 70th Birthday, the Manuka Wars Continues and a New Tool in the Battle Against a Bee-Killing Bacteria. This week we are talking about Proposed Manuka Rules and a new mite threat to look out for ( as if we haven’t got enough to lookout for !! ). 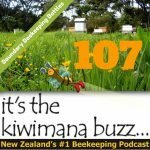 This is Episode One Hundred and Seven of our beekeeping podcast. 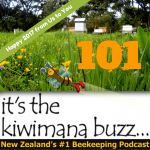 This week we are talking about the New Bee Season 2016 for us kiwi’s, history being made, Cranky Bees, Dreamy Bees, Hot Stuff and Invasion of the Great Aphid. 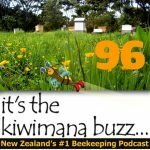 This is Episode Ninety Four of our beekeeping podcast.